IBM's computers can diagnose skin cancer more effectively than dermatologists, the company says. The smartphone is on a collision course with your local dermatologist. IBM researchers have developed a computer system that early research shows is more effective at identifying a form of skin cancer than expert dermatologists. The technology is young, and IBM (IBM) said it must prove itself in more tests. But the findings are a harbinger of when we turn to computers rather than humans for more affordable and better health care. The IBM system was given photos of skin lesions taken with a smartphone attachment designed for dermatologists. Costs for this device, called a Dermascope, run from $100 to $1,400. 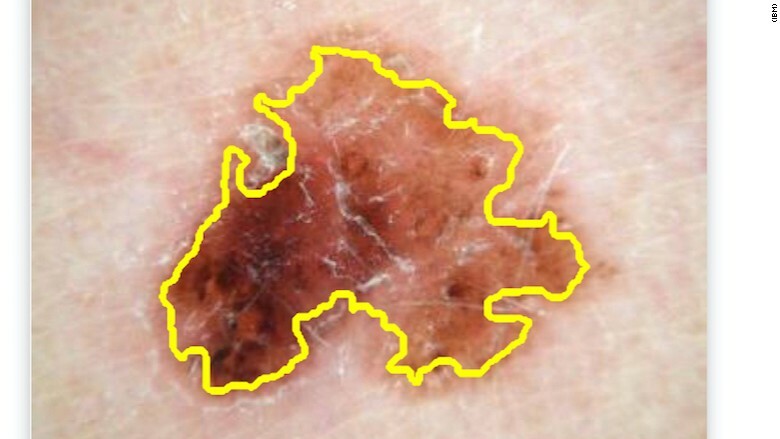 The IBM computer then compared the images to its database of skin cancer photos and estimated the likelihood the lesion was melanoma. The computer was more accurate -- 76% -- than eight expert dermatologists (70%). The paper, which is available online, will also be published in a 2017 issue of the IBM Journal of Research and Development. IBM's computer relies on artificial intelligence to make its decisions. The system was fed hundreds of images labeled as skin cancer, so it could realize the appearance and characteristics of dangerous skin lesions. The exposure to hundreds of pictures helps the computer suss out the underlying traits of what appears to be cancerous and what's harmless. The IBM Research system outlines the area of the skin believed to be part of the lesion. This isn't simply a case of man vs. machine. The computer system was trained with photos, which came from the International Skin Imaging Collaboration, that humans labeled as cancerous. IBM's approach to diagnosing skin cancer still leaves room for human dermatologists to train the computer system. Noel Codella, an IBM Research scientist and author of the research, said tools like this one could help a physician quickly check how risky a skin lesion is and refer a patient to a dermatologist as needed. Expert dermatologists aren't always available and can be expensive. IBM's computer system may eventually work as a stand-in. Codella declined to say when the technology would be made available to the public and described it as still a research project. IBM is not the only company harnessing cameras and computers to improve health care. "You have all these phones everywhere with very powerful computers inside them," said Modiface founder and CEO Parham Aarabi. "Using them to help doctors is a really good cause." Aarabi's startup Modoface, which is the brains behind an app from Vichy, provides recommendations about whether someone needs to moisture their skin. 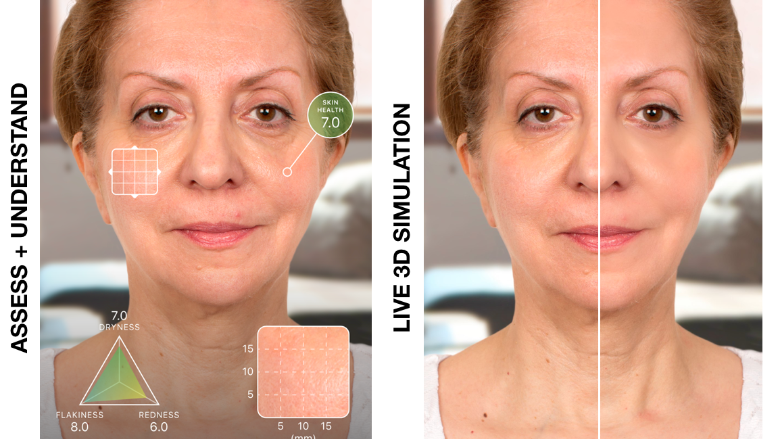 Modiface's artificial intelligence also powers beauty apps that lets consumers see how cosmetics might look on them or how a Botox treatment would change their appearance. Modiface found skin roughness can be easily identified with the camera on a smartphone, but it had a tougher time telling a part acne and dark spots on the skin. "This doesn't replace doctors -- it aids them," Parham said. "The best technology helps them become efficient, and better and faster at what they do."